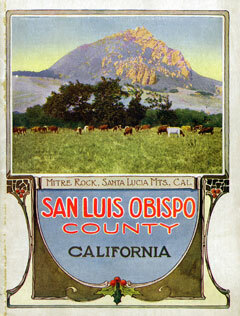 California History Collection, Special Collections and Archives, Cal Poly San Luis Obispo. © Cal Poly. The Kennedy Library’s Special Collections and Archives department acquires, preserves, and provides access to original materials documenting the history of the San Luis Obispo region, with special emphasis on ethnic studies and environmental history. These materials promote the study of local, regional, statewide history as an integral part of California’s cultural heritage. 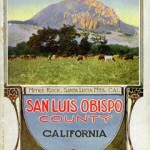 See also the Links to the Land series of collections documenting the environmental history of San Luis Obispo county, particularly the stewardship of land by county ranchers. Yes! Monday! It's 1:18pm right now.